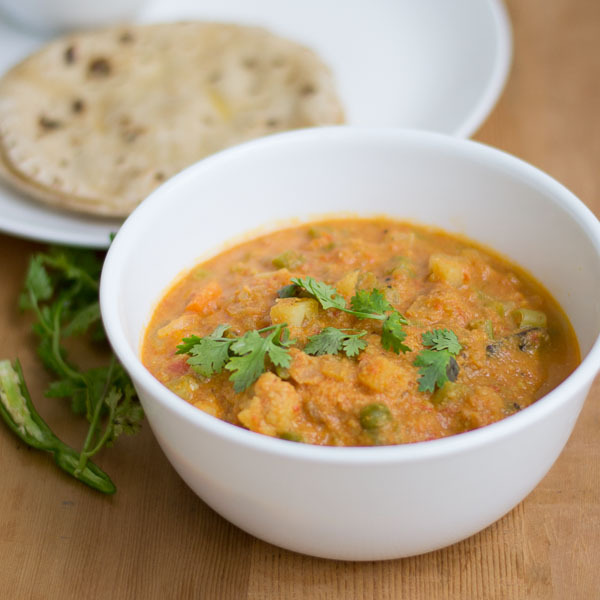 South Indian Mixed Vegetable Kurma – My Dads Recipe. My dads recipe for South Indian hotel style mixed vegetable kurma recipe with step by step photos. Mixed vegetable curry for chapati/ghee rice. Side dish. My dad is a wonderful cook. He would cook once or twice a week for us whenever he was in town. He would make me and my brother stand near the kitchen counter and teach us how to do things in the kitchen. He was patient, never rushed anything and always willing to teach and learn. He would sit patiently for hours grinding and sharpening his knives. He does it for me even today whenever he visits me. He believes that getting children into the kitchen at a very young age is the only way to get them interested in food. 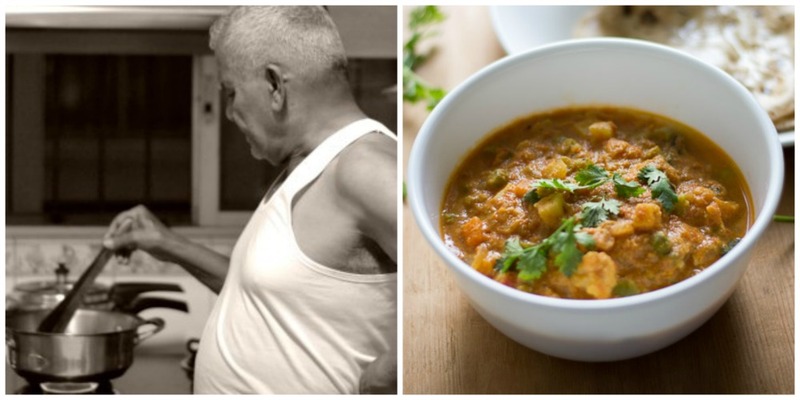 He is in his early seventies now as I write this post and he still cooks whenever he visits me. A very simple man who firmly believes that he belongs to a generation which still believes that it takes 100 Paise to make a single Rupee. I love you daddy. This recipe is a house favorite. We call it as Chapati kuruma. Its a perfect side dish for roti, poori, ghee rice or pulao. There is a lot of nostalgia going on in this recipe. Lets do my Dad’s Vegetable kurma before my eyes brings in the water works. Shall we? There is going to be some prep involved. Once done the recipe progresses quickly. Crank up the food processor/mixie as we need to make some puree/paste. We need ginger-garlic paste, cashew-khuskhus(poppy seed) paste , coconut paste and tomato puree. 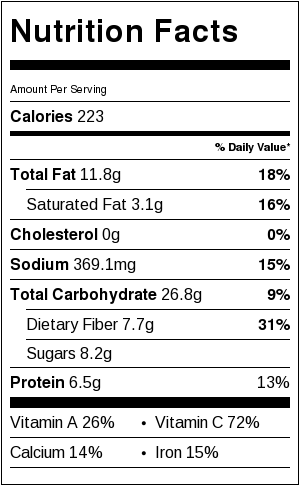 Next contender – Vegetables. Just pick up whatever veggies you have in your fridge. 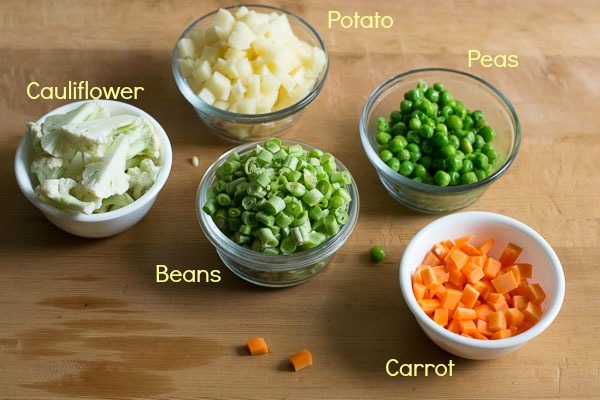 I used the classic veggies like potatoes, peas, beans, carrot and cauliflower. A cup of each. Boil them until AL-dente and keep aside. Now lets play with the fire. Heat oil in a wide skillet and when the oil is shimmering add the spices (cinnamon,cloves and cardamom), onions and saute until translucent. Add in the ginger garlic paste and salt and saute until you can see streaks of oil coming out of the mixture. That’s a sure sign that the garlic mixture is cooked. Now add in the tomatoes and the spice masala. The spice masala includes turmeric, coriander powder, red chilli powder and black pepper. Reduce the flame to low and let it cook for 10 minutes. Now add the boiled veggies and cook for a couple of minutes. Now last add in the cashew-khuskhus paste and the coconut paste and cook for a mere minute or two. Don’t let it boil for long after adding these two pastes. Just a minute or two on simmer and take it off heat and garnish with cilantro/coriander leaves. Serve hot with roti or pulao. The paste: Grind the ginger and garlic with a little water into a smooth paste and set aside. Grind the tomatoes to a smooth puree. No need to strain. Set aside. 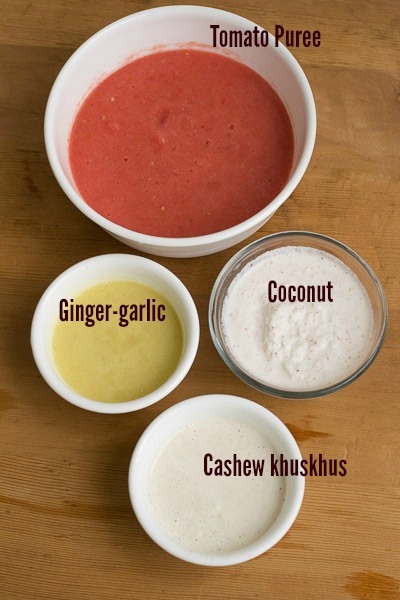 Grind the cashew and khus khus with a little water to a smooth paste and set aside. Grind the coconut with a little water to a smooth puree. Boil the veggies until Al-dente. Reserve the water used for boiling. In a wide saute pan, heat the oil until shimmering. Add in the cloves,cardamom and cinnamon. Add in the onions and fry till translucent. Add in the ginger garlic paste, salt and fry until little streaks of oil come out of the mixture. Now add in the tomatoes and the spice masala mixture and let it simmer in low flame for 10 minutes. Now add in the boiled veggies and the reserved water and boil for a couple of minutes. Boil for a mere minute after adding the above two pastes. Do not let it boil for long. Remove from heat and garnish with cilantro/coriander leaves. 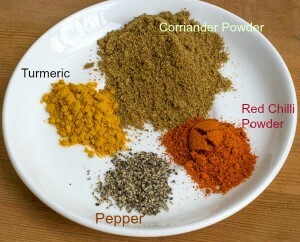 Serve hot with Chapati or Ghee rice. Hi Suguna, Thank you so much for sharing this wonderful receipe. We are here in Chicago and I just made this dish and my whole family is enjoying it as I write this. I also want to say that I made this as a Pure Jain dish. Without potato, carrots, garlic and onion. It still turned out excellent. Thank you. Thank you so much. Really glad that your family liked it. Thanks for writing in. Hi Suguna. May I add chickpeas into this? TIA. I tried this recipe months ago and took the leftovers for lunch the next day.I had to grab some fast food as my lunch mates finished this in minutes.Thanks for the super clear instructions. I am making this again for a friend;s house warming party to go with poori. I plan to double the recipe for about 15 ppl. Do you suggest any changes when making a big batch?? Just because I am the biggest laziest bum , that I know of , I have been wondering if this recipe could be OPOSed ! By the way the original was a super dooper hit at home. Sure, you can try oposing it! Hi suguna,,what do i substitute if i dont get khus khus.. i am in spore and u shd be aware that khus khus is generally not allowed to be brought in or sold in shops.. Thank you so much John. Really nice to know that you tried the recipe. Will definitely pass on your greetings to my dad. I tried it today and found it ok, but not at all comparable to what I have been eating in South India: No curry leaves, no green chilli, no mustard seed, and the veggies taste watery (as normally in south indian kitchen you never cook them in water, but with the spices in the gravy). Hi! I actually tried the Vellai Kurma which came out pretty good since I’m already familiar with this South Indian mixed vegetable kurma recipe(quite popular as well). I am a south indian and let me tell you….NONE of the kurma recipes have mustard seeds while adding curry leaves is a preference and I’m sure green chillies are omitted here to keep the red color from red chilli powder and tomatoes. The veg kurma dish looks very tempting & yummlicious. I felt sentimental & touched when I saw your Dads picture & read about. May the Almighty bless with good health, peace & happiness always. I loved my Dad very much too. Now he’s no more. I am really sorry to hear about your loss Maria. But I am sure your life is filled with all the good memories. Wish you good health and peace too! Nicely written, with references to dad. Tried the recipe too, it turned out well, except that I didn’t have coconut to add. This recipe is so good! Thank you for sharing! My husband thought it was way better than an Indian restaurant we visited, thanks again! Oh wow! Thats a really nice compliment from your husband. Thank you Makayla. Thank you so much Kavita. Yes I make it often too! Thank you Nimmikanna. Really happy that your family liked it. Thank you for this recipe. It’s very precise and easy to follow. I tried it out yesterday for my Tamilian husband and he liked it a lot. Happy 2016! Thank you Arthi. Wish you a great year ahead. Thank you for writing in Lalitha. I am so happy your family like the vegetable kurma. Happy cooking. Thank You so much Sneha. Your words mean a lot to me. Thank you so much Shamna for writing in. I am very glad that you guys liked it. Happy Cooking! Thank you Swetha for writing in. I am happy that the recipe came out well. Excellent recipe, very simple step by step presentation. Can c your dad’s tender loving touch bringing added flavour and taste to the veg. Kurma. We avoided khuskhus since it could make us all drowsy post dinner. Veg kurma came out very well, and was offered with Fula roti for dinner. Thank u! Thanks for writing in Pankajavalli. I am really glad that the veg. kurma came out well. Last weekend l was searching for an authentic south Indian recipe for vegetable kurma and stumbled upon your website. I was so impressed how you presented each item. I made your dad’s vegetable kurma and. It was a hit with my family. I loved the way you incorporated your childhood into it and even added your father’s picture. That made me feel more homely. I will definitely try all your delicious recipes. Wonderful! Easy and so quick to make it. Made it for the first time and it came out quite good. Thank you. Really appreciate it….. Thank you. Really happy that South Indian Mixed Vegetable Kurma came out well! Thank you Kavita for trying out South Indian Mixed Vegetable Kurma. its was a wonder full dish….. my husband really like it……. wow yummmmmmmyyyyyyyyyyy. Thank you so much Supriya. I am very very happy that your family liked my dads South Indian Mixed Vegetable Kurma. I will convey your message to my dad. 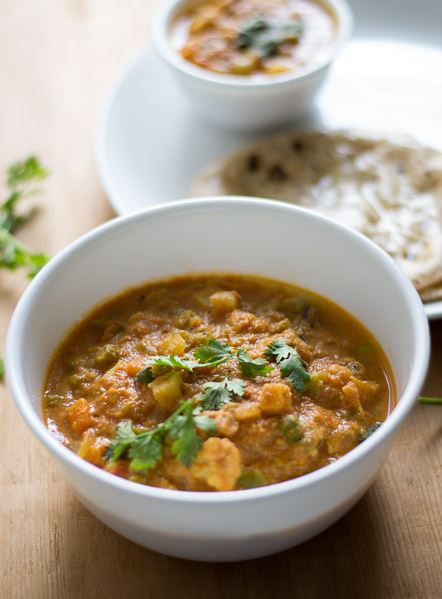 Dear Sailaja, This South Indian Mixed Vegetable Kurma tastes as good as it looks. Thanks for stopping by. You are most welcome Ajeetha. Glad to know it worked! Turned out to be perfect. My children loved it. Thanks for the posting the recipe. Excellent recipe. I tried yesterday. Came out very well. It suits for idli , dosa also. Hats off to your father. I followed u’r method n the result was amazing. The kurma was just perfect n my family loved it. Plz post more recipes like this. Am giving this 5 stars. Rock on! Every thing is fine just one thing i noticed 1 h 15 min are so much for this kind of recipe.